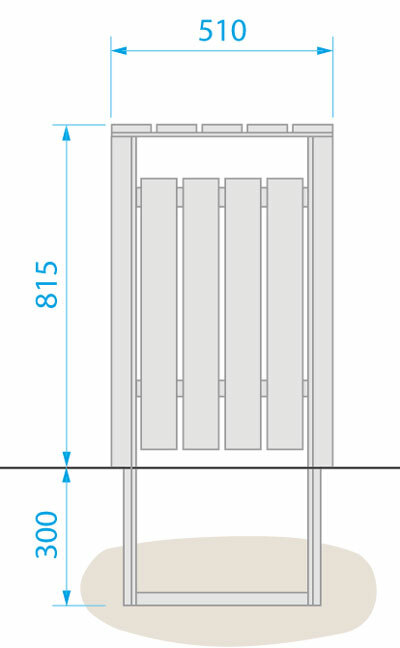 These rustic products have a substantial but unobtrusive galvanised steel frame which extends 300mm into the ground, onto which the slats are fixed. 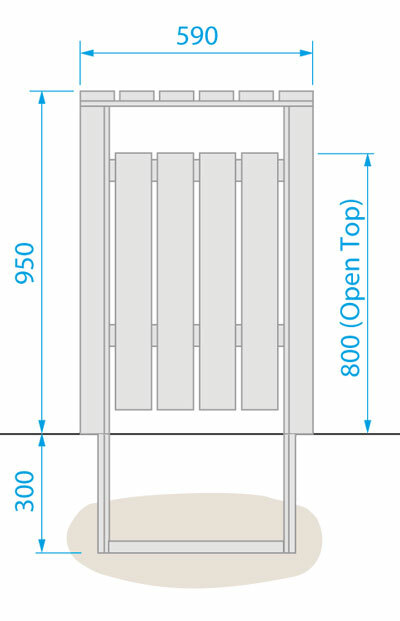 They are resistant to damage caused by fire, though the wooden slats on the lid can be damaged in some circumstances. The 110litre Woodland bin can also be supplied without a lid. The open top version has a facility to secure the liner with a padlock, which we can supply. The lidded versions now have an opening handle, which also acts as a bump stop to protect the slats when the door is let down. The slats are only available in oak.